Records of the Chappaqua Monthly Meeting are held in the Swarthmore College Library. 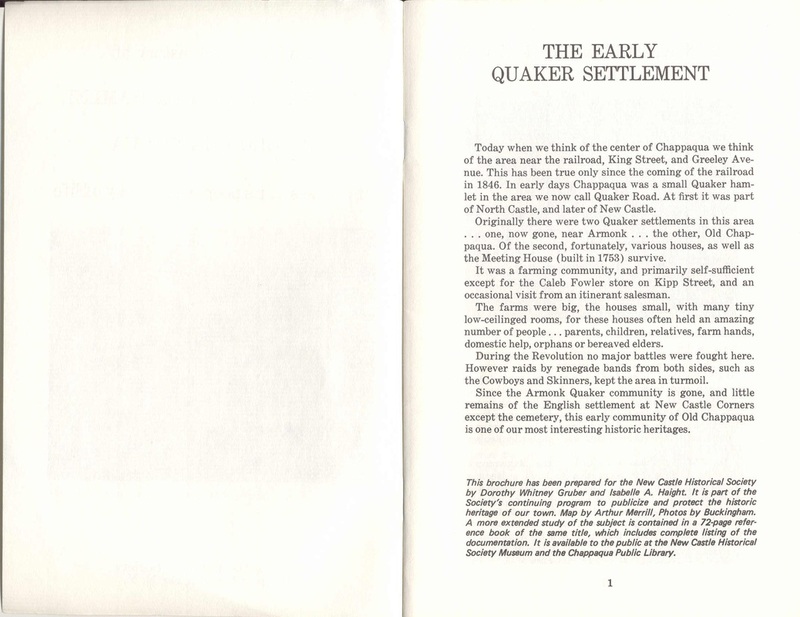 By the early 1700's Quakers had become a significant part of the spiritual, economic and political life in what is now the tri-state area. In theTown of North Castle records from 1736-1791, Quaker names were prominent among yearly appointments for the Town government. 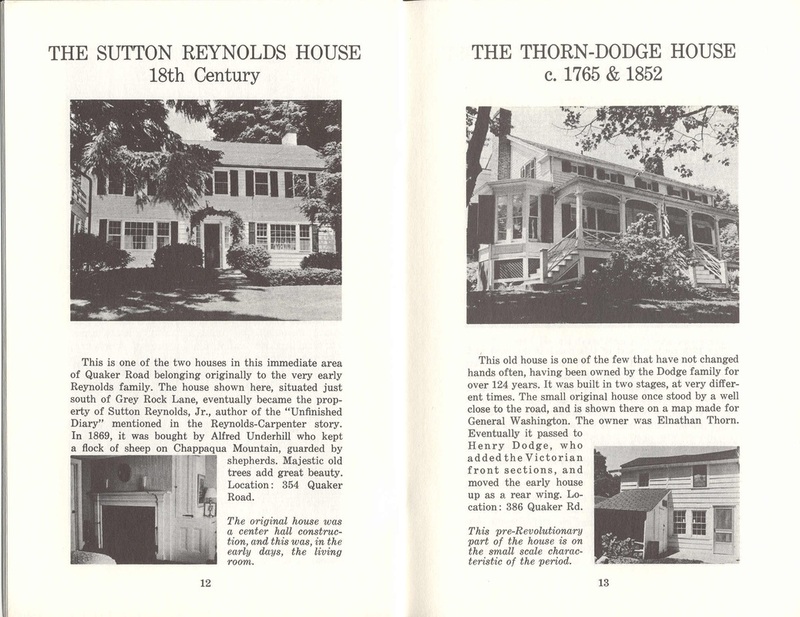 Meetings were established in 1685 in the town of Westchester (now the Bronx), and in Mamaroneck, (now the Scarsdale Friends Meeting). In 1695, John Harrison purchased a tract of land from Native Americans and large numbers of Friends came to settle in what they called "Harrison's Purchase," or simply "The Purchase" (now Purchase, NY). 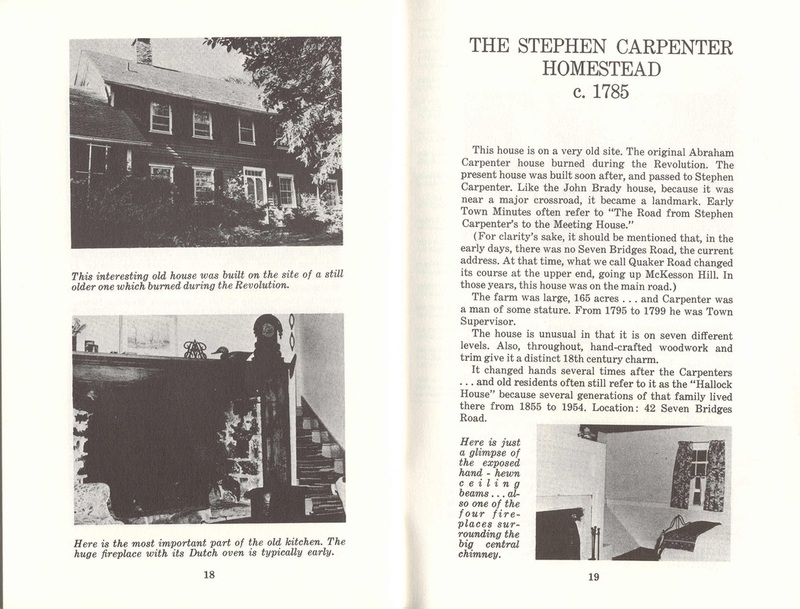 Around 1720, Abel Weeks, a third-generation American Friend from Long Island, came with his family to North Castle and built a house at a bend of a road between Shapiqua and New Castle Corners (now Mt. Kisco). 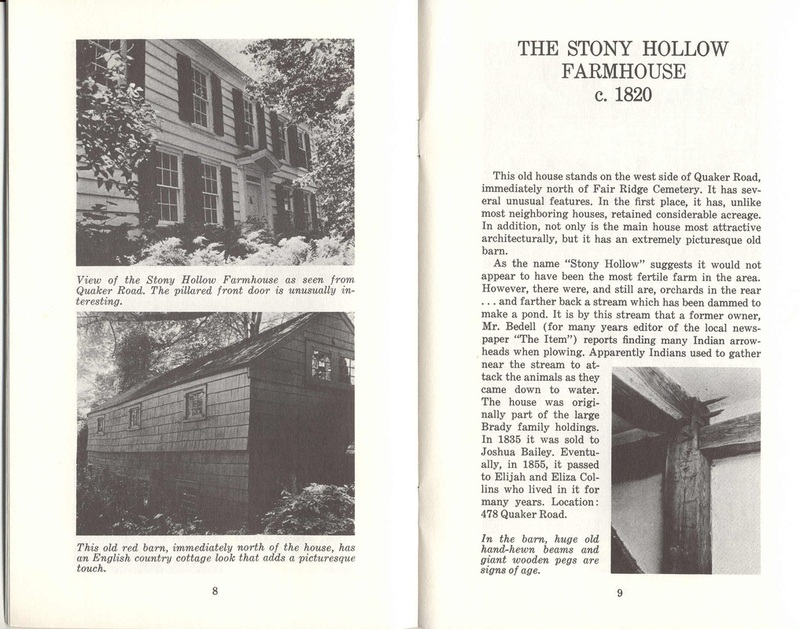 The first meetings of Shapiqua Friends were held there, reportedly in a log lean-to. 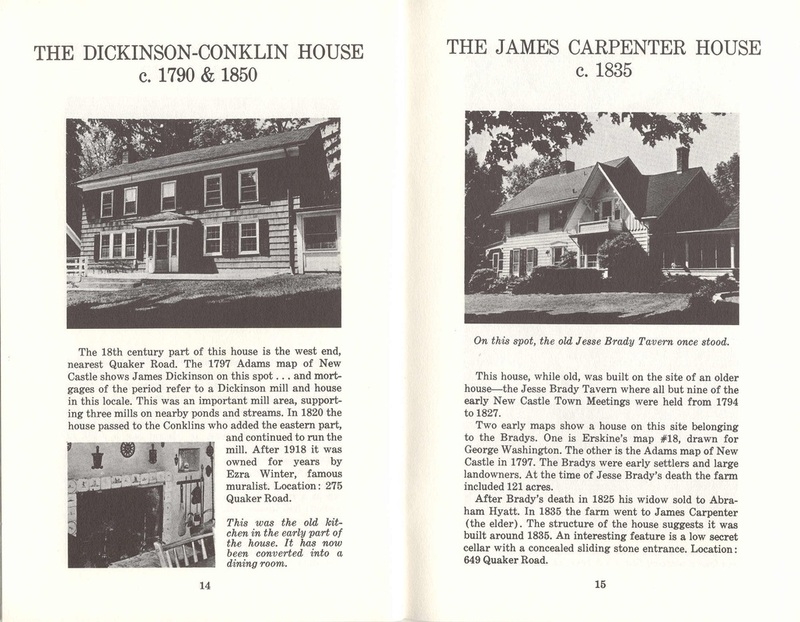 Membership outgrew the house and in 1753 construction began on the first house of worship to be built in (what is now) Chappaqua. The meetinghouse is the oldest documented building in New Castle. In 8th month 1745 a request for approval to establish a Meeting at Chappaqua was minuted at the Purchase Monthly Meeting. 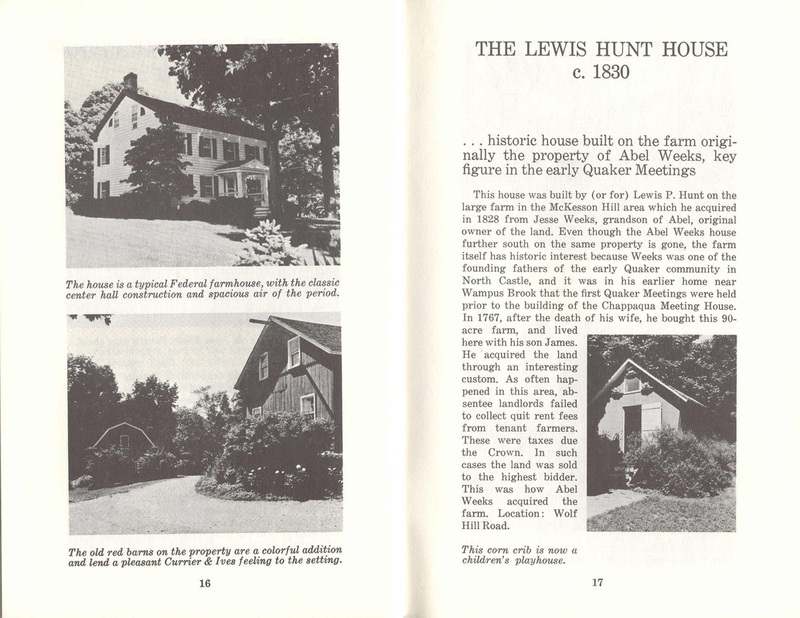 Three acres of land on Quaker Road were given by John Reynolds for a meetinghouse and cemetery. At the time, a black couple, Reynold's freed slaves lived in a cabin on the property and their deaths in 1745 marked the first burials in the newly deeded cemetery. Space was the important need and the style of new meetinghouse was defined by simplicity both within and without. 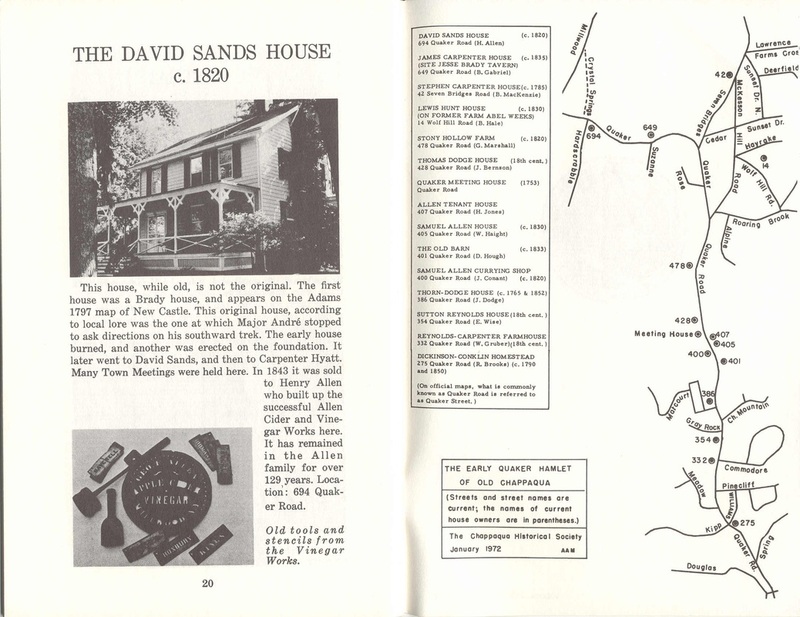 There were no stained-glass windows, no cross or decorative elements. This is still true today. 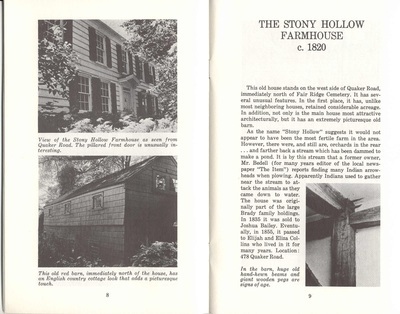 By 1763 a shingled meetinghouse 20 by 26 feet with 18 foot high supporting posts was completed. In 1780 it was extended by a 20 by 12 feet addition with a sliding panel between to accommodate separate business meetings for men and women. 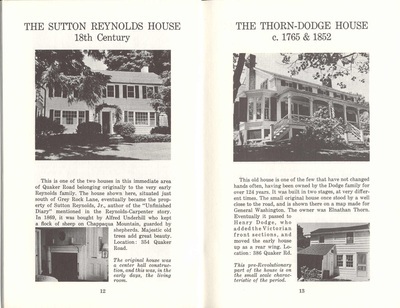 Side and front porches were added in the mid 1800s. 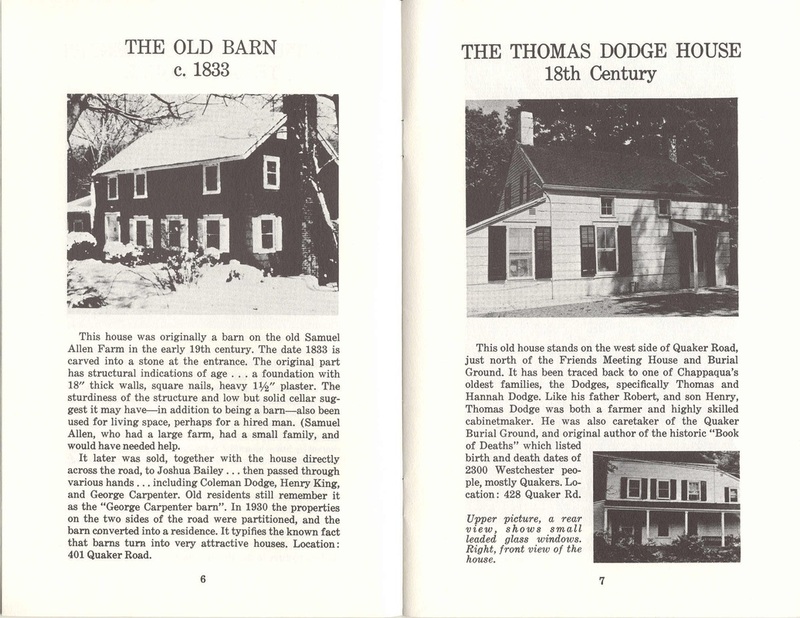 During the Revolutionary war the meetinghouse served as a 'hospital' for some of Washington's wounded soldiers who were brought there following the Battle of White Plains on October 28, 1776. Some American soldiers are apparently buried in the grave yard. 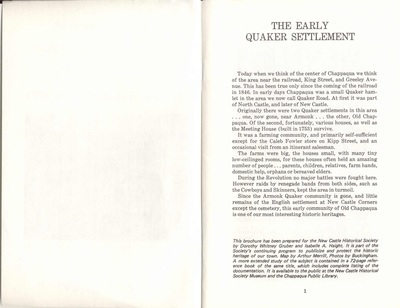 By l778 the Meeting House had become the hub of a growing Quaker settlement and had to be enlarged. The 1790s brought further enlargement, and the present roof was framed. Members had freed and given land to all their slaves in North White Plains by 1779. During the years prior to the Emancipation, families of Chappaqua Meeting participated in the Underground Railroad, notably Moses and Esther Pierce. Chappaqua Monthly Meeting was affected by the Hicksite/Orthodox schism of 1828, and a second meetinghouse was built on the property to accommodate the dissenters. The split was apparently without rancor, and it was not unusual for family members to worship in separate meetinghouses. 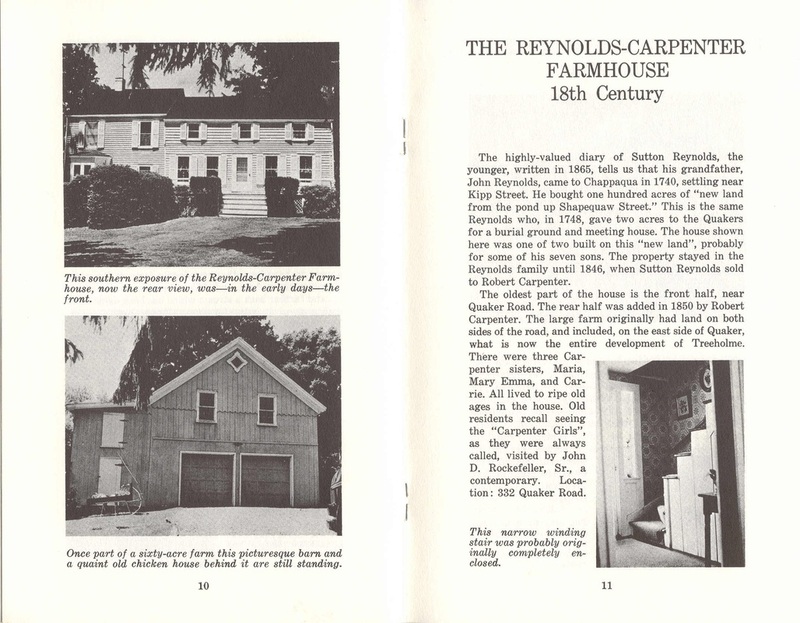 In 1885 the Orthodox building was taken down piece by piece and moved to King Street in Chappaqua. The two meetings continued their separate existences until 1960, when they reunited. The King Street meetinghouse was sold and the proceeds used to finance a sizable addition to the Quaker Road meetinghouse. The funds provided for a nursery school room, social room, four classrooms, kitchen and bathrooms. The meetinghouse was listed on the National Register of Historical Places in 1974. Over the 285 years since its founding, Chappaqua Monthly Meeting has waxed (largest in the late 18th century) and waned (lowest in the early 20th) By the second half of the 20th century the Meeting began to show renewed vitality which the Chappaqua Meeting shared in, and -- more recently -- benefited from the presence of a number of new members with children. Today, Chappaqua Monthly Meeting has about 60 formally registered members, as well as a thriving First Day School and a number of regular and occasional attendees. The Meeting Cemetery is open only to those with a connection to Chappaqua Friends Meeting. Burials are not accepted, while cremations are encouraged. A memory wall is inscribed with the names of those not buried. A plot of graves originally from Croton Valley Meeting was relocated to Fair Ridge Cemetery on Quaker Road in 1903 with the help of Chappaqua MM before their graveyard was to be inundated by the 1907 Croton Dam. 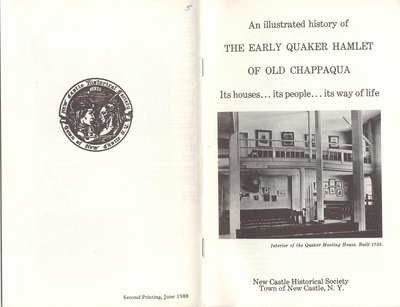 The Chappaqua Mountain Institute was a private co-educational college preparatory school in Chappaqua, New York founded by the Quakers in 1870. 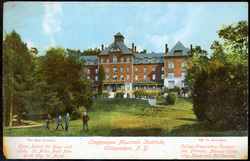 The school closed in Chappaqua in 1908. 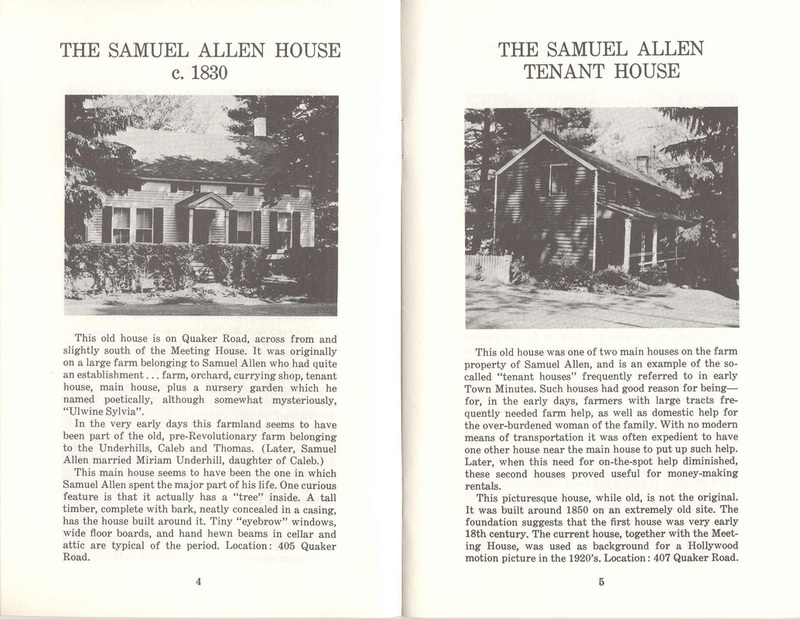 The building and grounds were bought by the Children's Aid Society in 1909 and became a convalescent home for children from New York City. The Children's Aid Society today runs the Wagon Road Camp across the street from our Meeting.